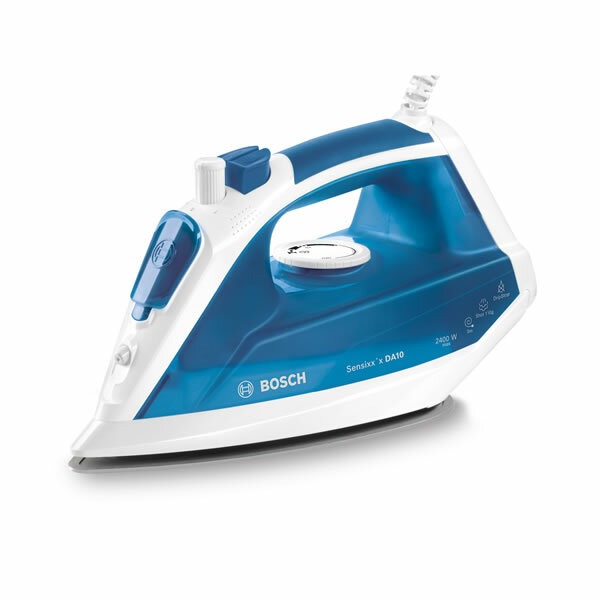 ""This Bosch Steam Iron is very lightweight at only 1kg, the 2200W heating element produces continuous steam at 30g per minute and for stubborn creases, it has a button for a shot of steam that is a powerful 90g per minute. 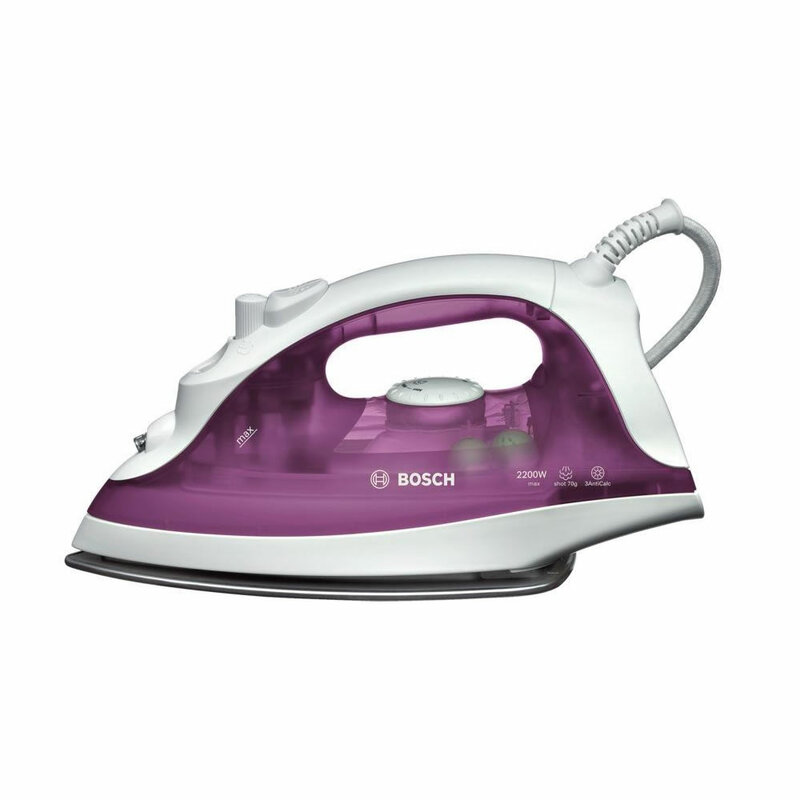 It is great for vertical steaming too and is comfortable to hold thanks to the ergonomic soft-grip handle. The sole plate is Palladium Glissee that is a specially treated ceramic that makes it glide effortlessly over your clothes. 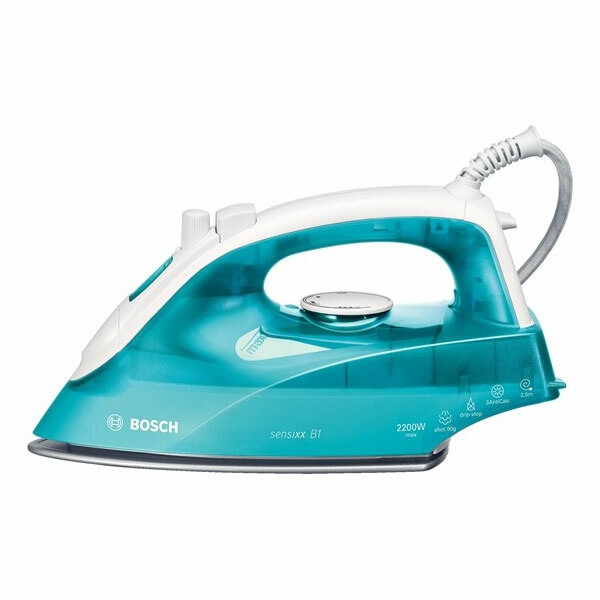 Thanks to a large 290ml water tank you can iron for longer without the need to top up. It also has a generous 2.5m cable and convenient leak protection drip- stop system and self clean system.> ""